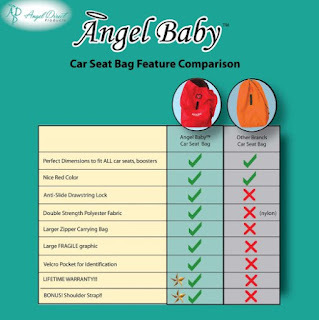 Angel Baby car Seat travel Bag is what every traveling parent needs. I don't know about you but I like a clean car seat. When we made our summer travel plans this year I was actually worried about how our car seats would fare in the baggage claim. 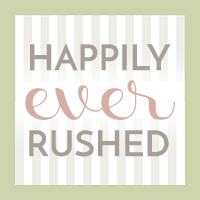 When Angel Baby Car Seat sent me the travel bags, I was excited. 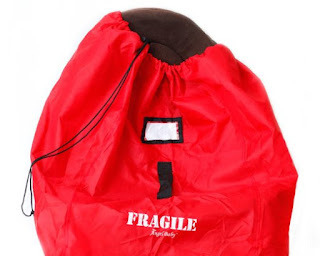 The bag is durable, bright and comes with a removable strap. This makes it even more convenient for when you are trying to claim your luggage. We will actually be purchasing a second one in order to have two of the same for our two car seats. The dimensions will fit nearly every car seat on the market and keep the seat clean and safe. What is more important? 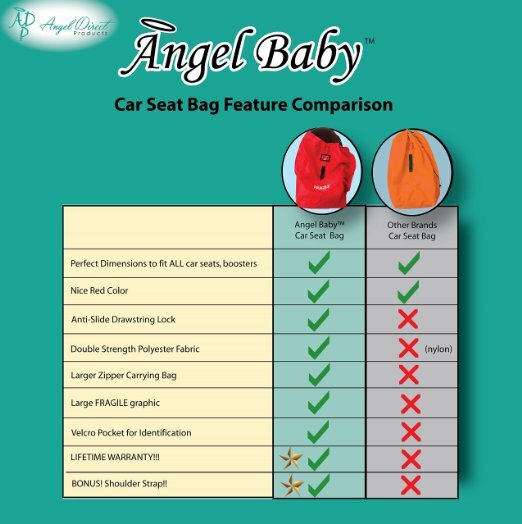 Amazon is where you can go to purchase your very own Angel Baby Car Seat Travel bag. Give it a try and let me know what you think.